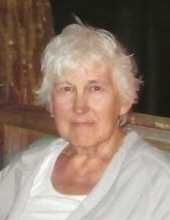 Judith Joyce Sylvia, 75, passed away peacefully at her home in Brockton surrounded by her loving family on Monday, March 25, 2019. “Judy” was born in Bay City, Michigan to Grace and Paul Jablonski Sr. on August 30, 1943. After graduating from at T L Handy High School in 1961, she pursued a career as a typographical clerk in Virginia and Washington D.C. With time, her path brought her to Brockton, Massachusetts where she diligently raised her five children with strength and grace. Judith loved New England and Cape Cod, frequenting the beaches and appreciating the area’s abundant history. She enjoyed music and dancing. Judith was very sweet and thoughtful, placing everyone ahead of herself; she taught us how to survive and how to live in the moment. Above all else she cherished togetherness; relishing every moment with her children and family at birthday dinners, summer rentals, local day trips and cookouts. Judith was devoted to her family. She is survived by her children, John T. Sroczynski of Canton; Eve E. Cunningham and her husband Robert of Dacula, GA; Jason A. Sylvia and his wife Nicole of Brockton; Leanne M. Sylvia of Brockton; Lynda J. Curtis and her husband Timothy of Berkley. Loved by her grandchildren Noah, Summer, Chloe and Evan Cunningham; Ella Sylvia; Caroline, Abigail and Margaret Curtis. Missed by her siblings, Paul Jablonski and his wife Judith of Clinton Township, MI; George Jablonski and his wife Ivaleen of Kawkawlin, MI. Preceded in death by her parents and sister Maureen Burke and brother-in-law John. A memorial gathering will be held in the Russell & Pica Funeral Home, 165 Belmont St., (Rt 123) Brockton on Monday, April 1st from 4:00 - 6:00PM followed by a prayer service at 6:00PM. "Email Address" would like to share the life celebration of Judith Joyce (Jablonski) Sylvia. Click on the "link" to go to share a favorite memory or leave a condolence message for the family.